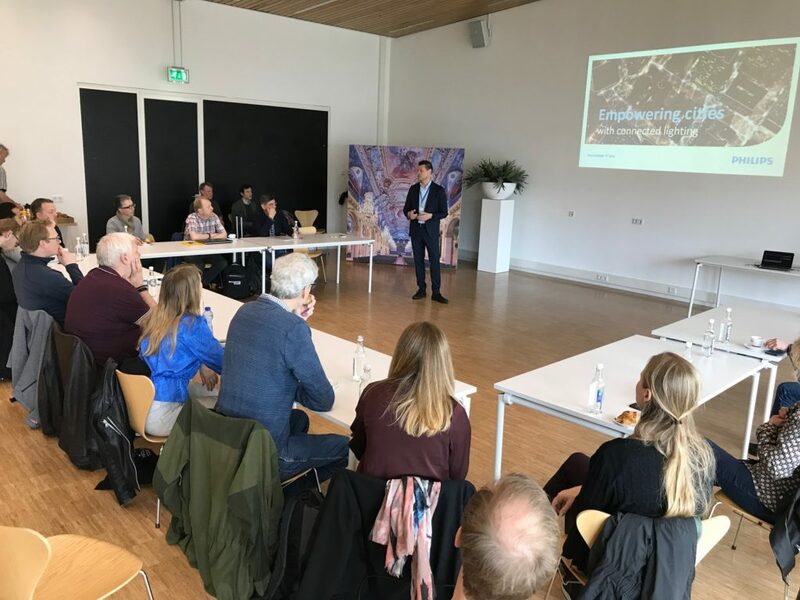 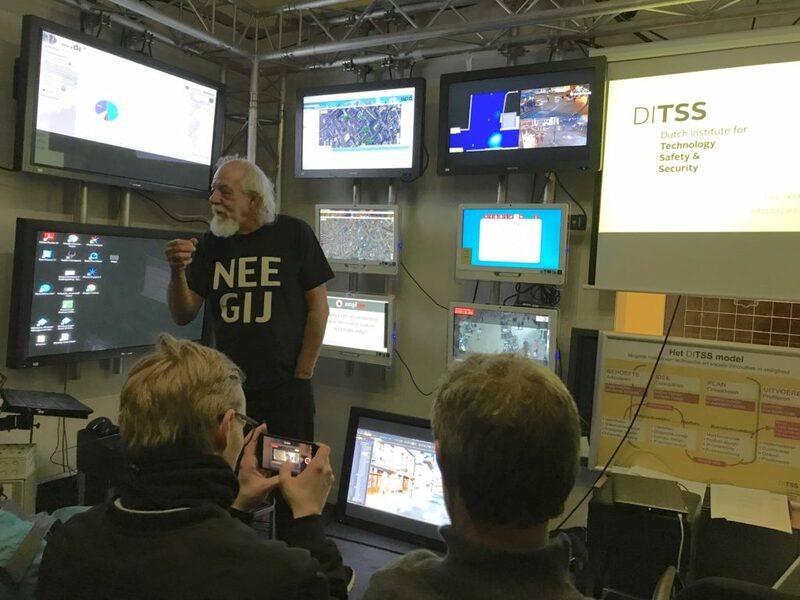 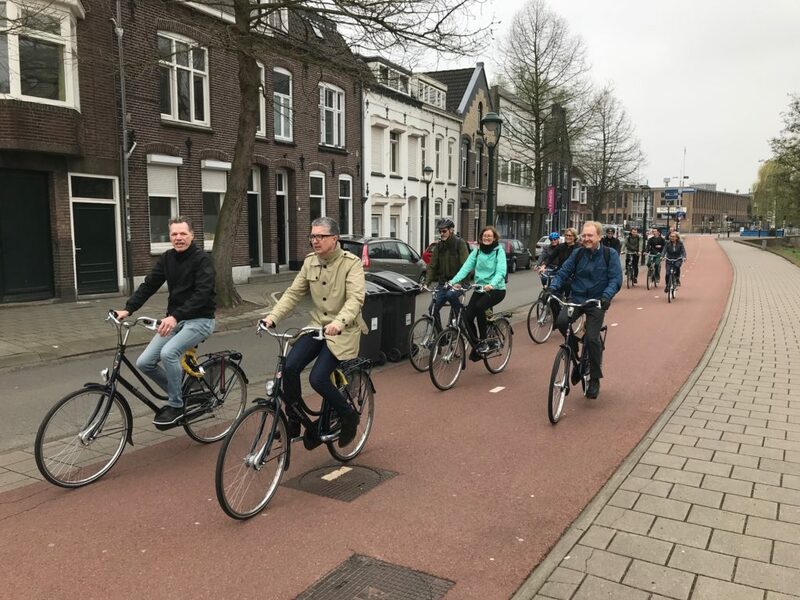 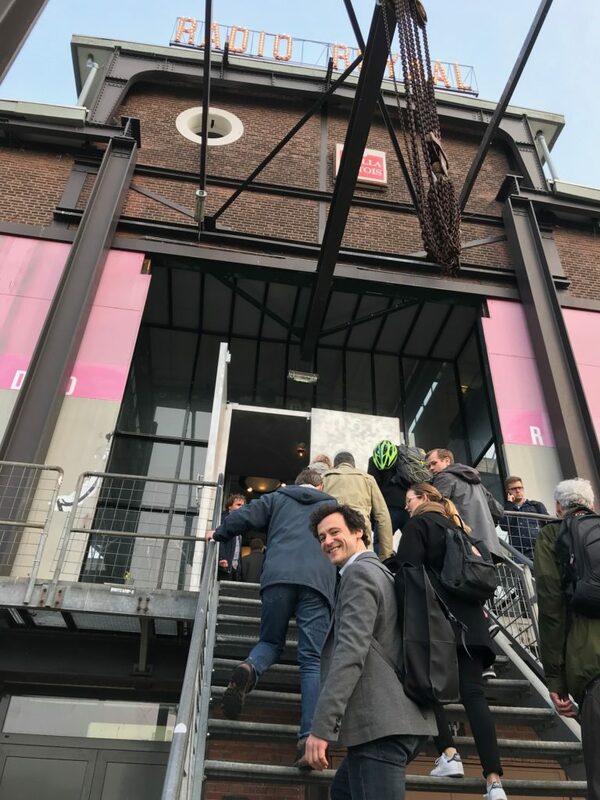 Lighting Metropolis partners selected Eindhoven as they’re choice for the latest study trip, to get inspired and exchange Smart City ideas with some of the key initiators and project leaders of cutting edge urban development projects. 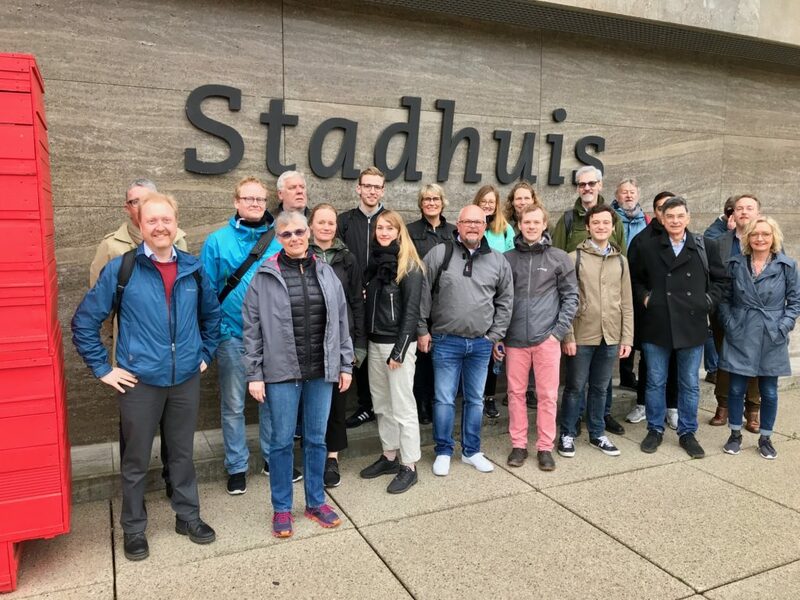 Eindhoven was chosen for the study trip after our benchmarking analysis of 351 cities confirmed that it’s one of the most interesting city in the world to visit in lighting. 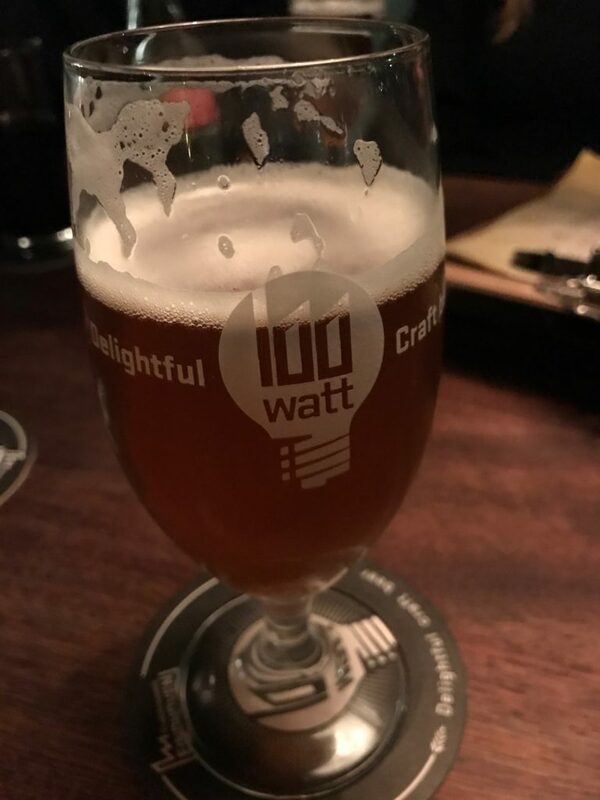 This is especially true of light for people, smart city lighting and climate and environmentally conscious lighting. 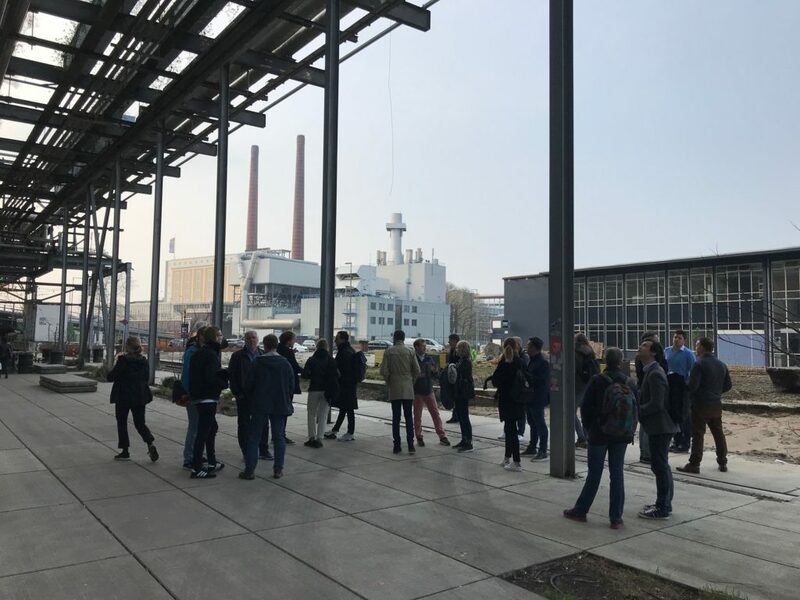 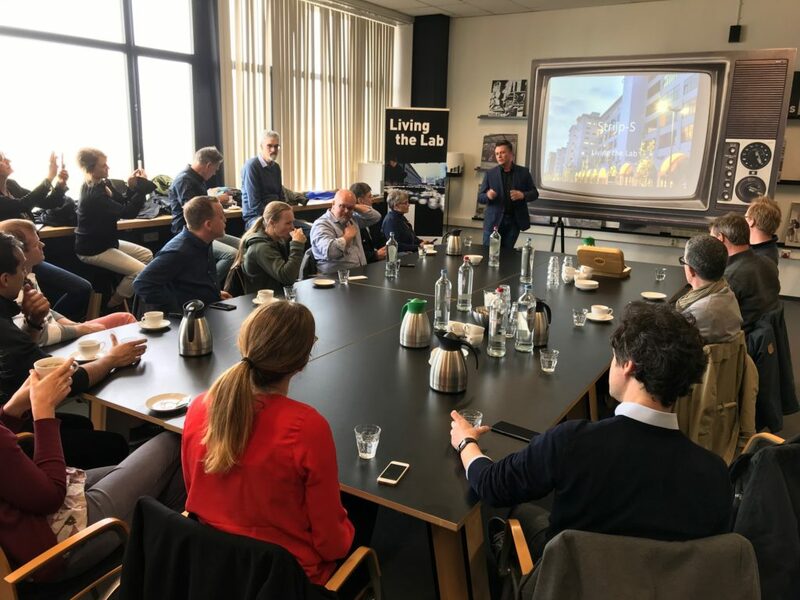 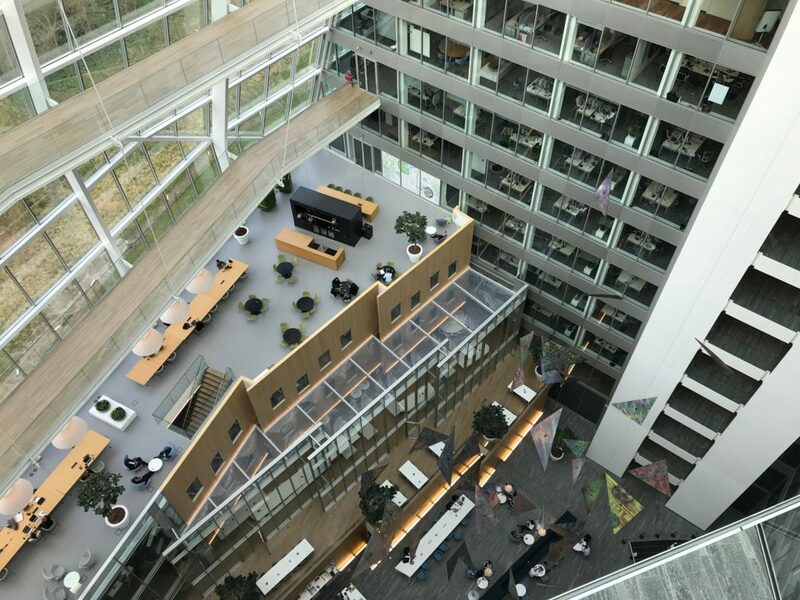 The visitng program included the municipal leaders of urban development projects, the technical University of Eindhoven, the Strijp-S and Stratumseind 2.0 living labs, Philips High Tech Campus and The Edge – one of the world’s most sustainable & intelligent office building (Amsterdam). 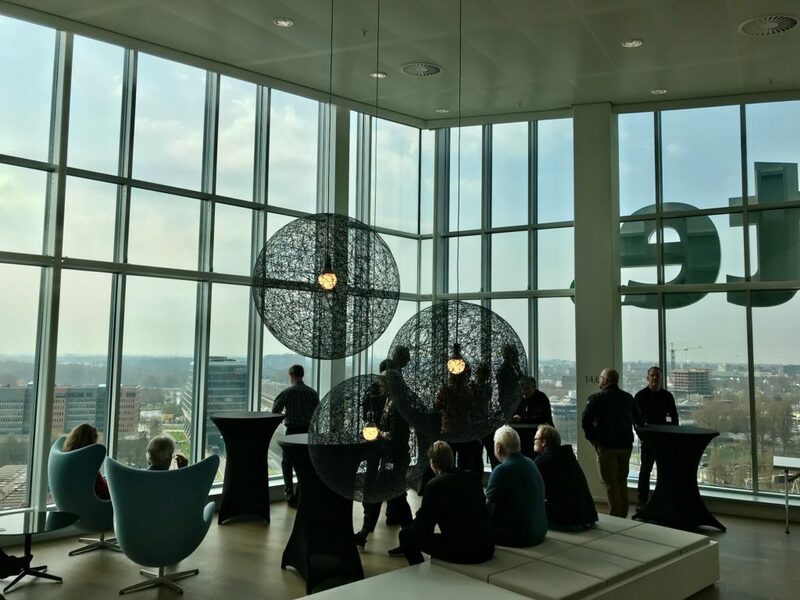 You can see a selection of images from our visits and meeting below. 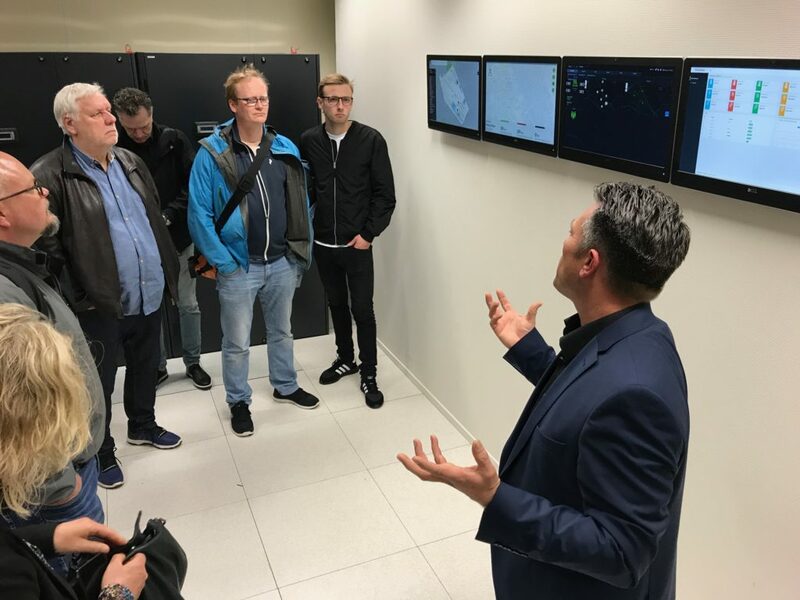 The Edge, Erik Ubels (CIO) guides us. 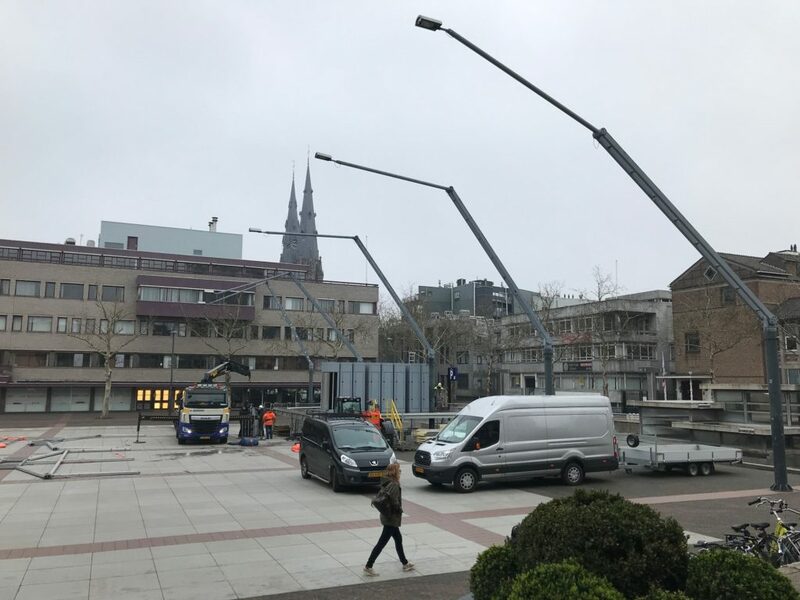 Luminaires outside City Hall, Eindhoven. 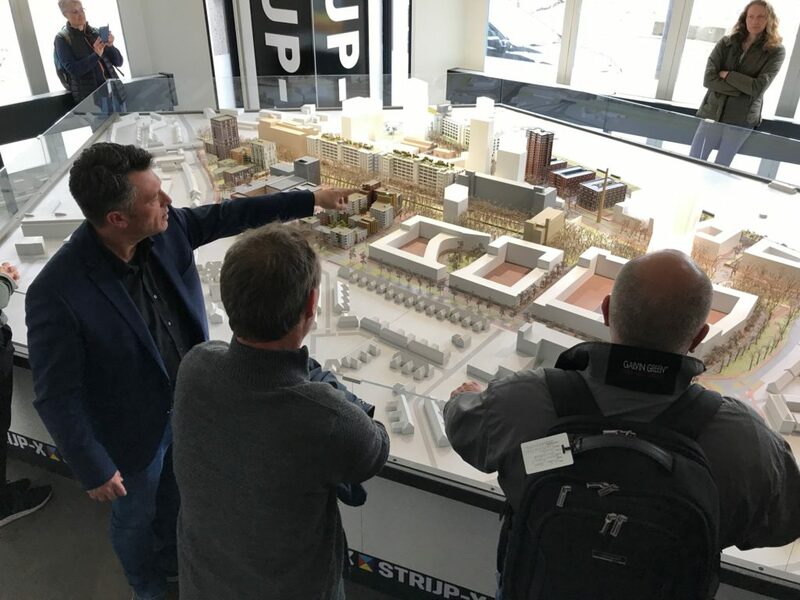 Alwin Beernink, Director at Strijp Parl Management, explains the urban development plans for Strijp-S, a quadruple helix living lab. 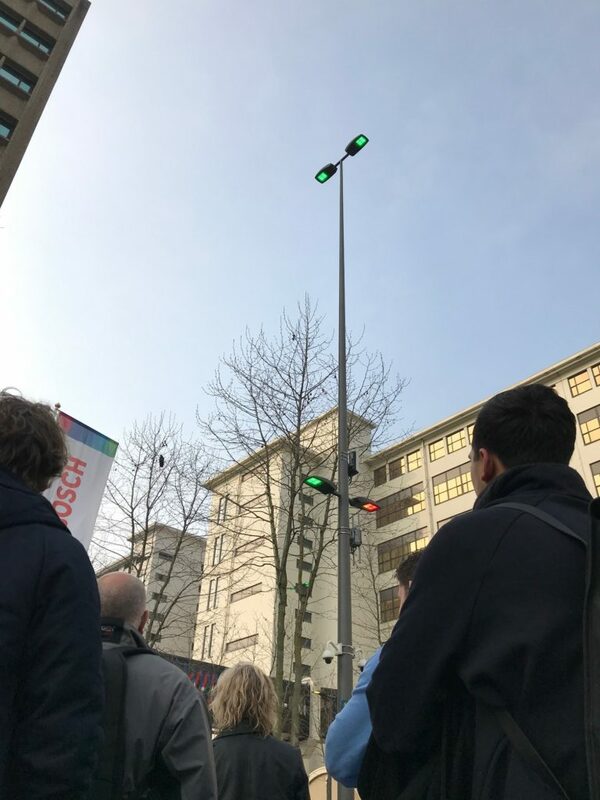 In Strijp-S, residents can control the lighting. 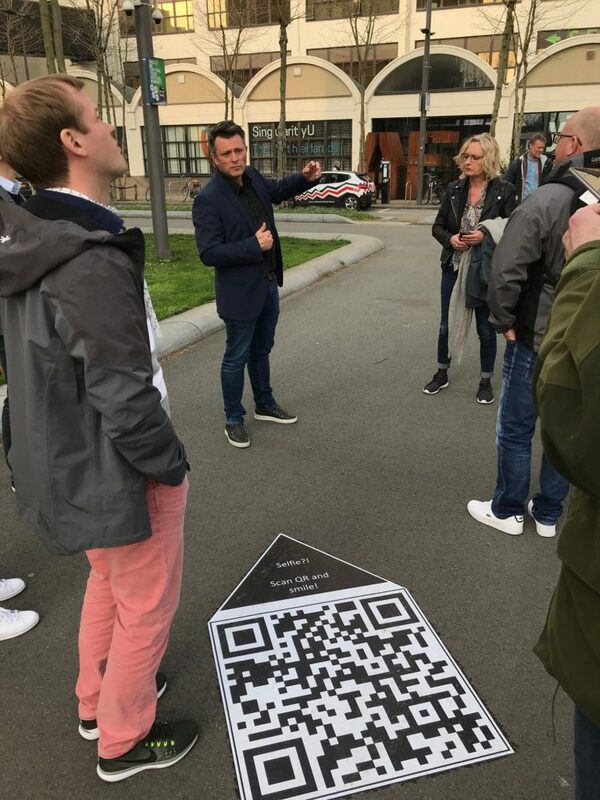 When visitors point their camera to the barcode, the luminaire takes a photo of you and pushes it to your phone. 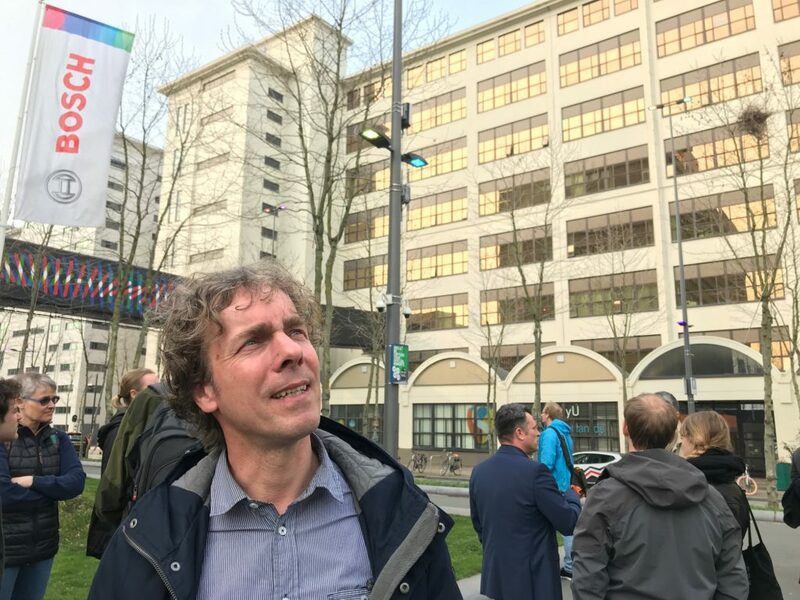 Rik van Stiphout, project manager, city of Eindhoven. 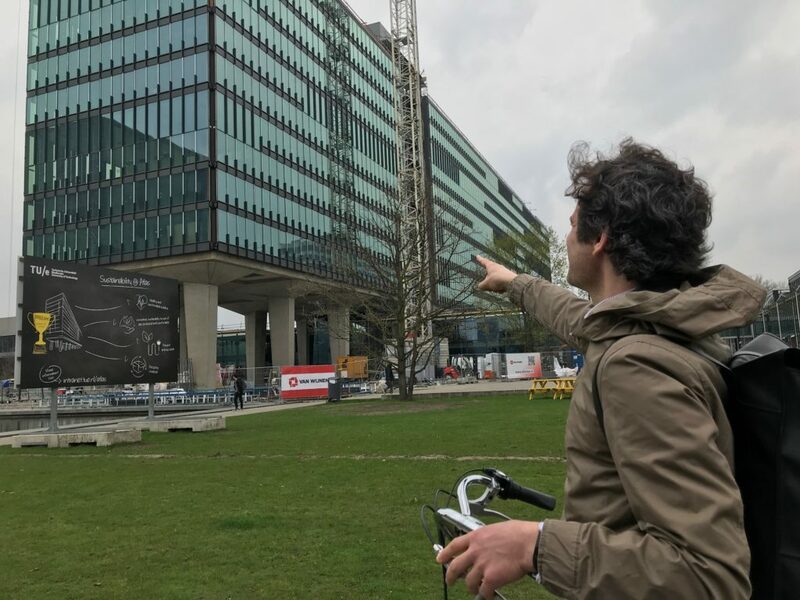 Strijp-S, all factory buildings used to belong to Philips. 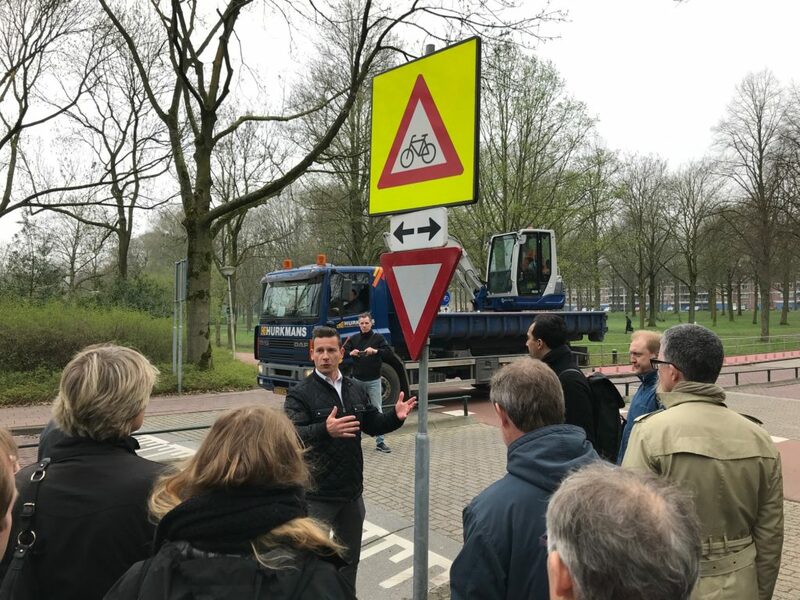 The BikeScout system pre-alerts cars about approaching cyclists & pedestrians in a crossing. 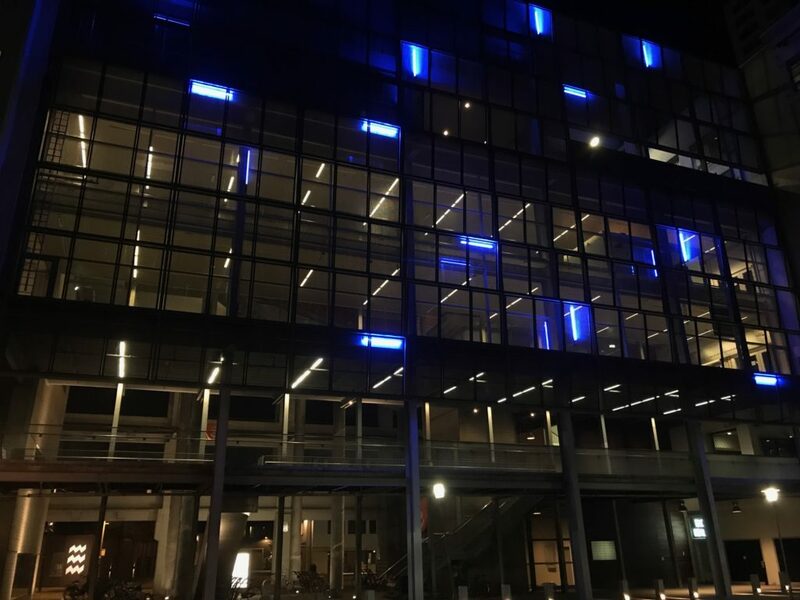 A new campus building is the latest living lab, set to get PoE lighting & sensors. 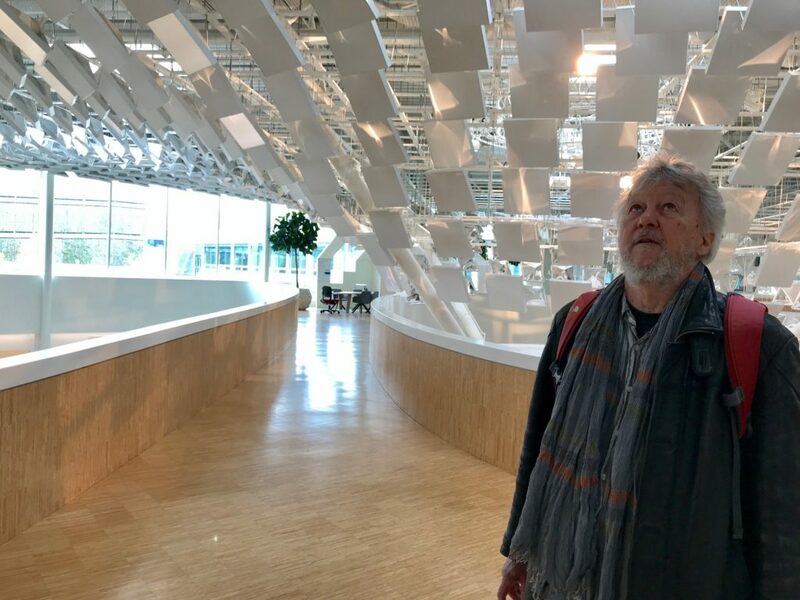 Professor Mullins marvels at the animated lighting at Philips High Tech Campus. 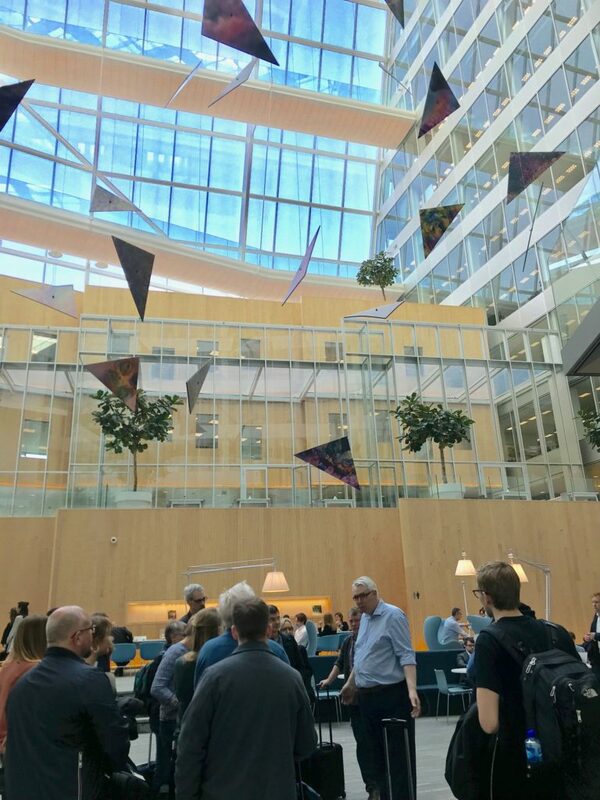 Anders Runemalm at Philips welcomes us to Philips High Tech Campus. 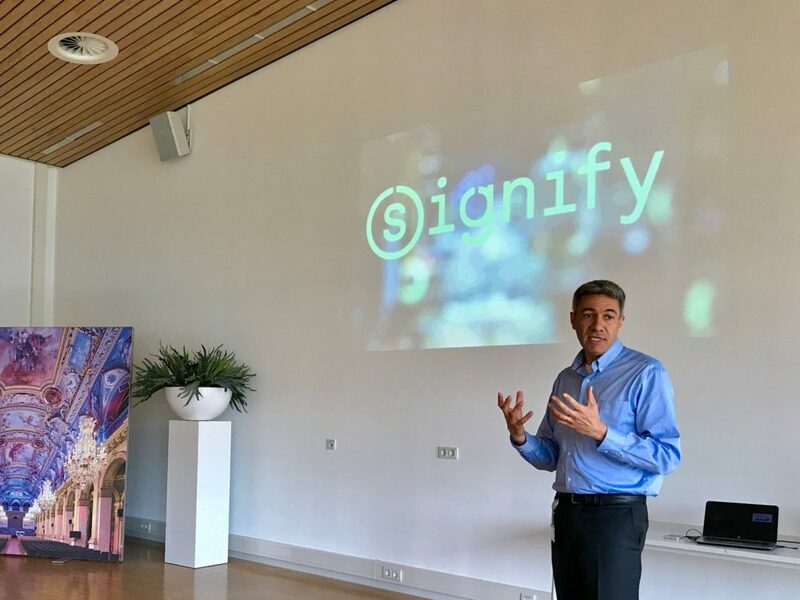 Jacques Letzelter annonces Philips Lighting’s new name; Signify. 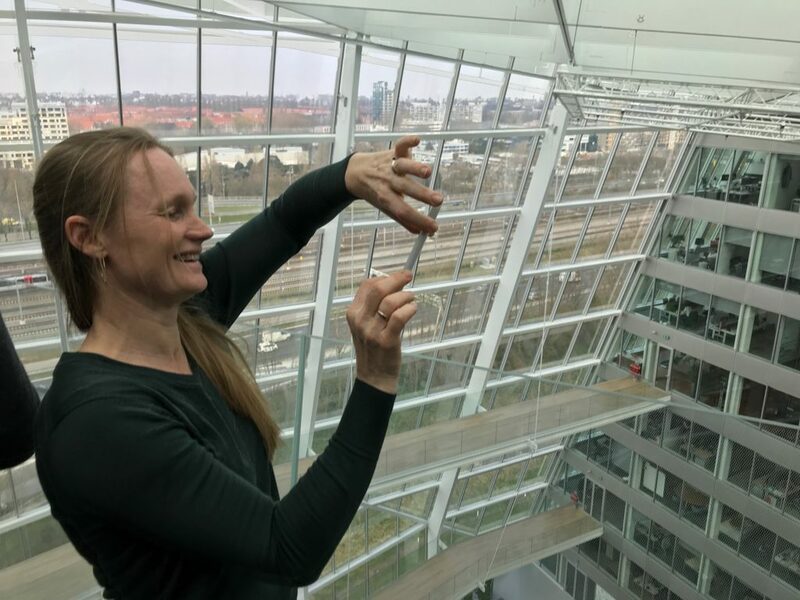 From DTU Smart Campus to Eindhoven’s High Tech Campus, with Dorthe Skovgaard Lund.